One of the most promising announcements at Apple’s “Spring Forward” event last month was the introduction of ResearchKit, an open-source framework that lets medical researchers tap into our iPhone addictions with apps that collect and study our health data. 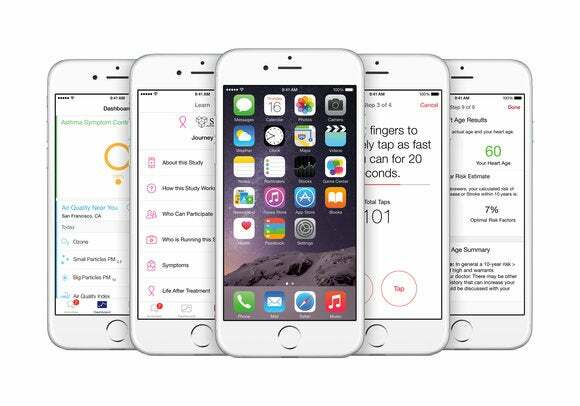 On Tuesday, Apple officially made ResearchKit available to all researchers and developers. ResearchKit rolled out last month with institutions like Mount Sinai, Massachusetts General Hospital, and Stanford Medicine already on board. Those early ResearchKit partners developed apps for patients to track symptoms of diabetes, heart disease, Parkinson’s disease, and breast cancer treatment aftereffects. Stanford’s MyHeart Counts app, which studies heart health, saw 11,000 iPhone users sign up in one day. More than 60,000 patients signed up to use those apps in the few weeks that they’ve been available in the App Store. Now that ResearchKit is open to all, more doctors and patients will be able to track all kinds of health data. The apps can do more than just collect your self-reported information, which can often be inaccurate. They can use the iPhone’s GPS, accelerometer, gyroscope, and microphone to objectively track your activity and other critical health data points. ResearchKit works with HealthKit to lift information from the Health app, so all of your third-party health and fitness apps are talking to each other (if you allow them to). To make sure your health data is secure, Apple is using IBM’s new HIPAA-enabled Watson Health Cloud. Researchers can tap into IBM’s data analytics to study the health information that is collected from patient’s iOS apps and stored in the Health Cloud. The goal of ResearchKit is to help doctors and scientists gather data from a larger pool of volunteers—ones that don’t need to be paid. For now ResearchKit apps are only available in the U.S., but Apple plans to extend the initiative to other countries.